*Price Reduced* This kit was removed off of a Roller Coaster Tycoon I owned quite a while back. 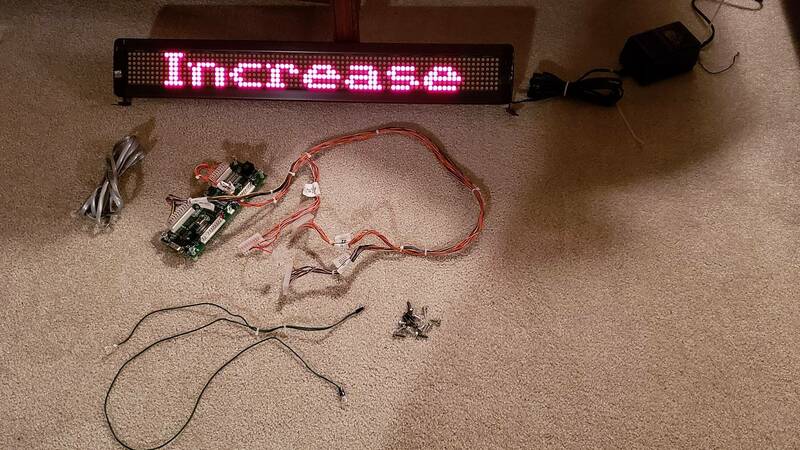 The things that are included are the TOPS interface board, Beta Bright LED display, power supply for display, data cable that goes between the interface board and the display, harness kit from my machine and some mounting hardware. 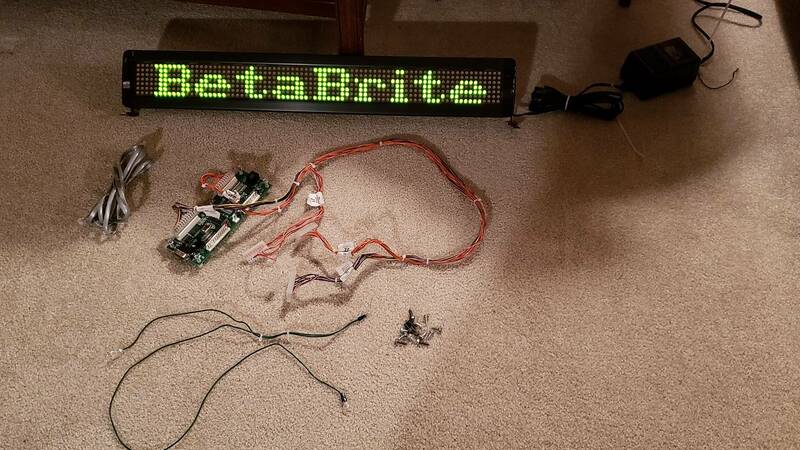 The Beta Board display LED works (I tested it - see picture), but I am not able to test the interface board. I do not have the remote or manual. Price is negotiable, feel free to email me an offer! These are pinguy2335's all time market stats. I’ll open. 1 dollar. I’ll take it. Can you put in a custom message, or does that require the remote? I will go 4 bucks. WHat can a buyer expect it to do when put back on top of an RCT as it is now? How will it enhance a pinball game exactly? Sell me on it. I may want it for my RCT. Make me want to buy it by explaining what it did exactly when it was on your RCT? it blinded him while playing, annoyed his neighbors through the window, and directly led to his divorce.